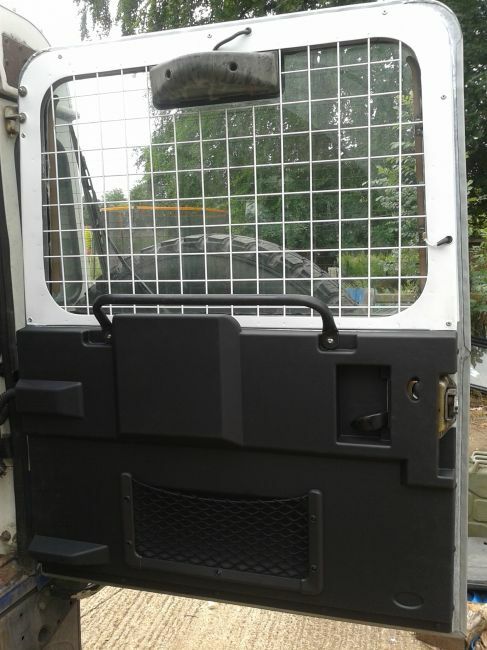 My 2005 Defender 90 SW TD5 was missing a few bits and pieces inside, I have found most parts that I needed, however the only thing remaining is the rear door card. Looks like all website and Landy parts providers are selling pre-2002 rear door cards. Any idea where to get a new one for a 2005 model ? If you can get a used one l have had very good results spraying plastic parts with satin black rattle can paint. I’ve done the grille, headlamp surrounds and mirror casings. The headlamp surrounds and grille had faded and after spraying they looked like new. The finish is still fine after over 30,000 miles and that’s on the front of the vehicle exposed to all weathers. There were some rumours that Mud were going to start making one. No rush it's been naked for nearly a year. 1995 300 Tdi Epsom Green - It's a keeper. Tears ago I needed a rear door card plus headliner for my 300tdi Lasalle were able to supply a better quality product than LR. https://www.lasalle-trim.co.uk/ Don't make old people mad. so it doesn't take much to us off. Like has been said I’ve had success fixing battered and broken ones- I use Evercoat fibretech and then paint it with satin black plastic paint. Could one of these be made to fit it?